Steveso Thinks: A Message to Congress: Get On With It. This morning I caught a few moments of the Sunday talk shows and I got very angry. All I saw were Republicans vowing to expose Benghazi as Obama's Watergate. Hey guys wake up and smell the coffee. The economy of this country is still in sad shape. Millions of people are still out of work, with many having given up in their job search. The middle class of this country is slowly disappearing as the top 1% of the country enjoys all of the wealth. The tax codes need reforming. Immigration needs reforming. Today the House of Representatives voted to allow employers to replace overtime pay with comp time, while they, the members of Congress work less and less every session. There were many more US Embassy attacks under Republican administrations than under the Democrats, yet the Democrats didn't stop governing. The disgusting atrocity of George Bush's Iraq War, which killed millions of people, including Americans and her allies and many more Iraqis has never been scrutinized by the GOP. It was a fraudulent and illegal war perpetrated by Bush and his cronies, under the outright lies of WMD's, yet the Republicans remained silent. 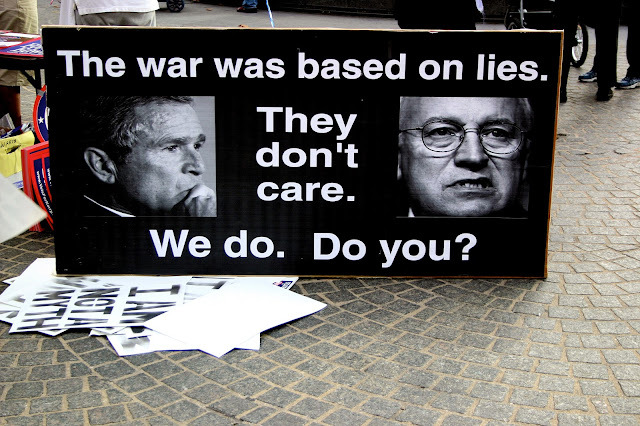 Bush, Cheney and Rumsfield are war criminals and should be prosecuted as such. The past is past, we are now dealing with the present and preparing for the future. Barack Obama is Black and he won two terms as President of the United States, so my dear Republicans in Congress, get over it. Put your racial bigotry and hatred of Obama, gays, Hispanics and the poor behind you. Do something for the country and your fellow American citizens. If you still want to hate, do it in the privacy of your own homes and churches.